North Korea is on the course to be able to field a reliable, nuclear-capable intercontinental ballistic missile (ICBM) as early as next year, according to a confidential report from the Defense Intelligence Agency, per The Washington Post. This prediction now matches more closely the revised estimations coming from South Korea. Why it matters: That jumps the timeline forward by two full years and ramps up the pressure on the U.S. and regional allies to halt North Korean progress. 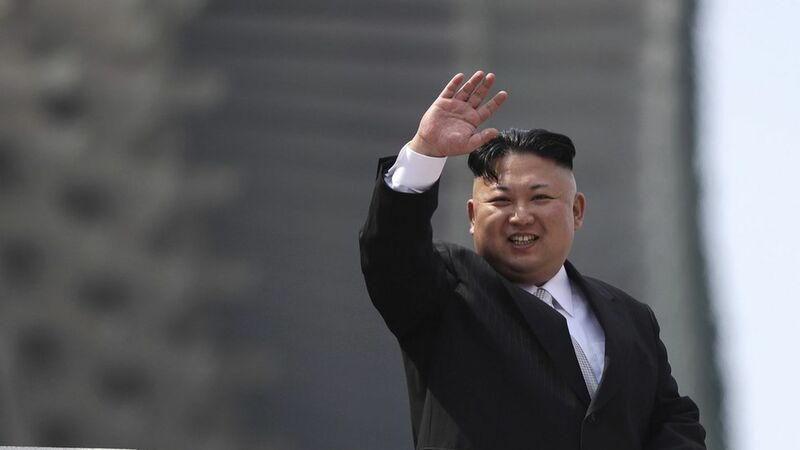 Kent Boydston, a research analyst at the Petersen Institute for International Economics, told Axios this will likely make the U.S. calls for isolating North Korea financially stronger. Boydston added that this will "make any kind of South Korea to North Korea engagement increasingly unlikely." Why the change: As Tom Karako, senior fellow on the Missile Defense Project at CSIS, told Axios, "the activity of the last few years has been especially intense. It's not really a surprise that they're getting a closer to no-kidding ICBM deployment." Pyongyang has advanced its fuel and missile capabilities beyond what experts anticipated was possible, and its July 4 test of a missile capable of hitting parts of Alaska showed U.S. officials just how close the North Korean threat is according to Scott Bray, ODNI manager for East Asia. North Korea does not yet have the capability to use reentry vehicles, which would allow warheads to survive reentry into the atmosphere despite high pressures and speeds. The Washington Post reports North Korea might be testing a new reentry vehicle around this Thursday, a North Korean national holiday. U.S. spy agencies have detected activity indicating a test is in the works. There is also a submarine making erratic maneuvers, which could foreshadow a test launch from a sub, which would also indicate an important technological development, given how complex it is to launch a missile through layers of water. "This is why we have long had operational plans to strike, defeat, and defend against missile threats like this, of both longer and shorter range varieties," Karako said. Read more on Axios about whether the U.S. is ready for an attack, here. Range: ICBMs have a range of 5,500 km, which would hit some parts of Alaska. "The key question is: When will North Korea have a missile able to deliver a nuclear warhead to various parts of United States, including Hawaii (about 7,500 km range), San Francisco (about 9000 km range), and New York City (~10,700 km range)," Bruce Bennett, Senior International Defense Researcher at the RAND Corporation, said. The DIA and ODNI declined to comment on classified assessments.